Para Alberti de Picasso que tanto lo quiere. 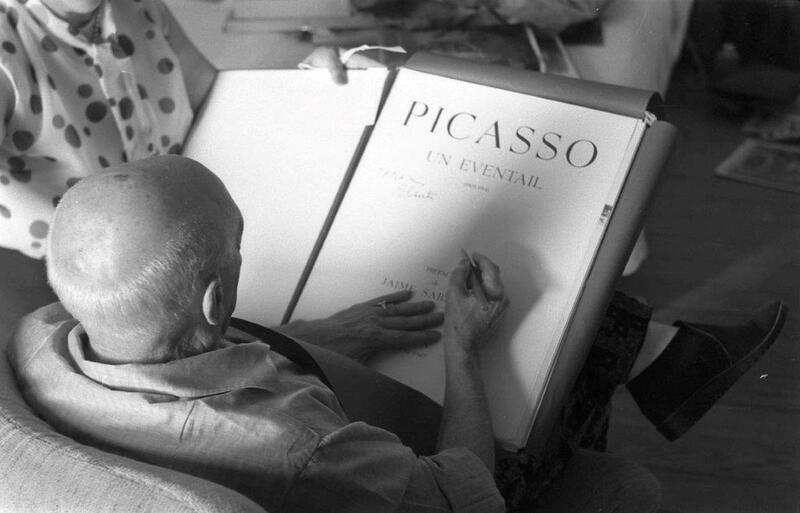 El 16.6.67 (To Alberti from Picasso who esteems him so much. The 16/06/67)". With these words Picasso dedicates his book A Eventail (1905-1914) to the Spanish poet Rafael Alberti. This photograph was taken in the artist’s bedroom at Notre-Dame-de-Vie, the last of his homes, that he moved to in June 1961.